One of the many awesome things about living in Stepping Stone is that our homes are built to entertain. 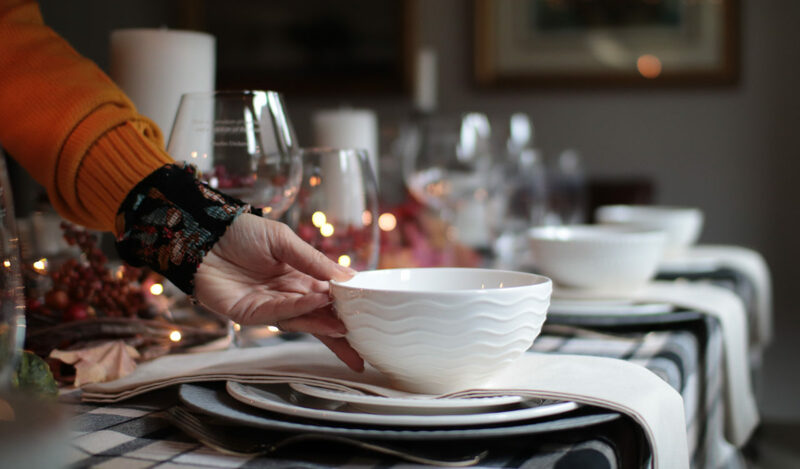 On the flip side, it probably means that everyone wants you to host all the events, so chances are good you got roped in to host your family’s (or friends’) Thanksgiving feast this year. No biggie — you got this! 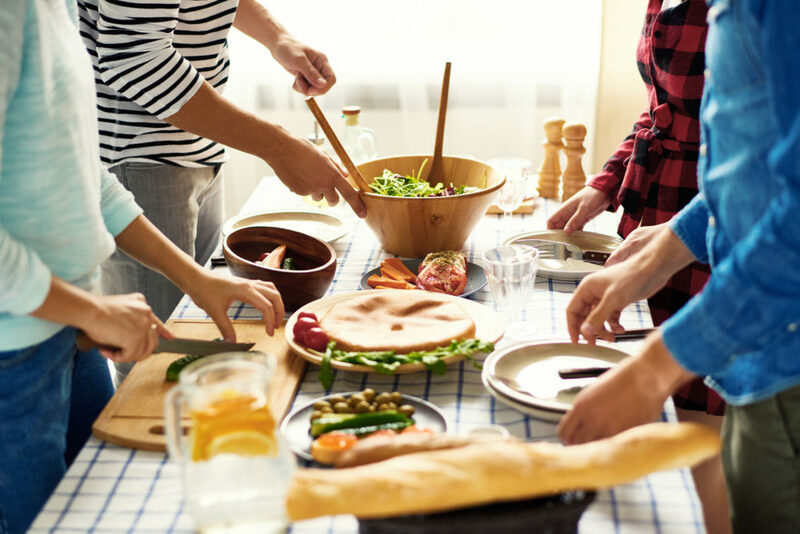 In a perfect world, you’ll have prepped and organized the entire dinner in the weeks leading up to the holiday. Ha! Who does that? Who has the time? If you’re like most people, you’ll probably wake up the Wednesday before Thanksgiving with a panic attack. 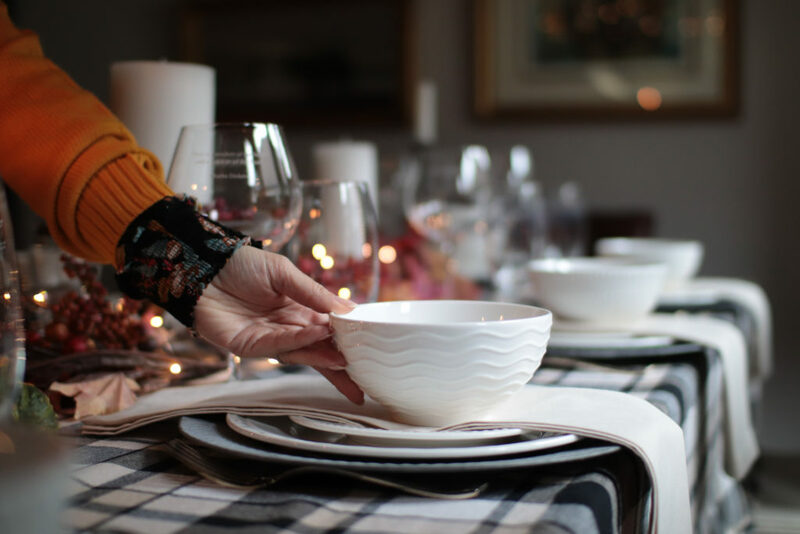 Take a few deep breaths, exclaim “Serenity now,” and then follow our tips for a few helpful last-minute Thanksgiving hacks. Make a list of all the dishes you have to make, list how much prep time each one will require, and then schedule them accordingly. Dressing can be prepped and refrigerated overnight. Sweet potatoes need to start in a cold oven, so bake them first on Thursday morning. Give yourself at least 24 hours to brine the turkey. And don’t forget to schedule your own prep time (shower, get dressed, open a bottle of wine) on Thursday. You don’t need super fancy kitchen gadgets to pull off dinner, but the best tool you can have is a good instant-read thermometer to gauge when your turkey is done roasting. If you don’t have a roasting pan, borrow one from a neighbor or make one out of one of those aluminum disposable pans — use large carrots and celery sticks lined along the bottom of the pan as a “rack hack.” Kitchen scissors are also handy for snipping vegetables, opening bags, and trimming the fat off of raw turkey. When it comes to deciding what to serve this year, keep it simple and stick to basics. This is not the time to test a new recipe or try a “spin” on a classic. Go with what you know. And when possible, outsource the easier necessities. Ask guests to bring the wine. Ask your friend who loves to bake pies to bring one of his or her masterpieces. And don’t be embarrassed to order a ham or a few side dishes from a local catering company or even your local grocery store. Holidays can be chaos and chances are strong that something will go wrong. A dish will be overcooked. A guest will bring another guest unannounced. A glass gets broken. Just let it go and roll with the punches. 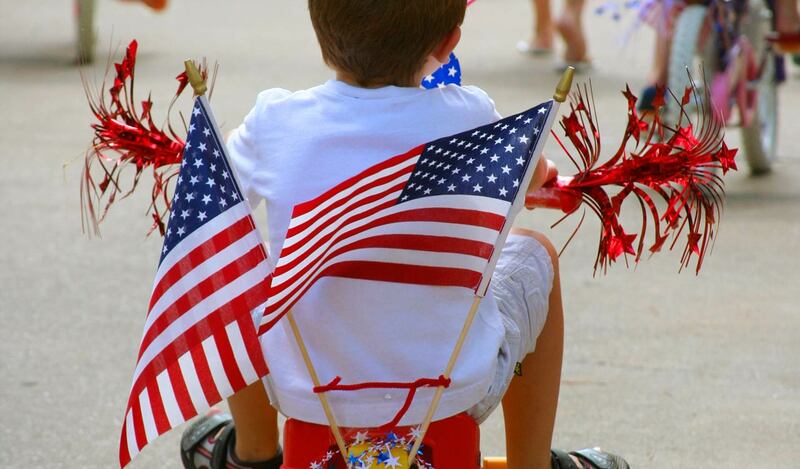 This is a holiday that’s more about spending time with family and friends and appreciating what you truly have. So focus on the positive, create a welcoming and accepting atmosphere, and let the memories roll with the meaningful connections and conversations that take place this day. What are your “holiday hacks” that you use to help take the stress out of preparing a Thanksgiving meal? We’d love to hear them. In the meantime, we hope you and yours have a Happy Thanksgiving holiday!